March 2 is Dr. Seuss' birthday, as well as Read Across America Day. To celebrate, there are some events going on 3/1 and on 3/2. 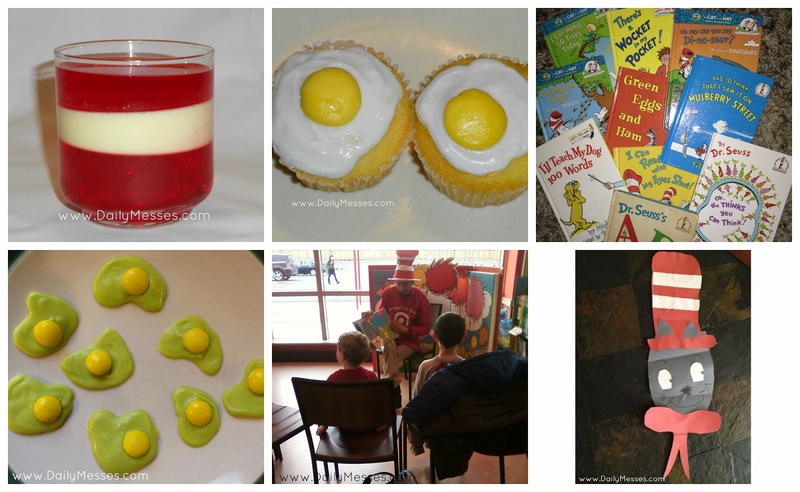 You can check out my Dr. Seuss Celebration Ideas post for food/craft/activity ideas, as well as a Dr. Seuss themed word find! Check your local library. Many are having special reading times. Half Price Books is having a story time on 3/1. My local store is having it at 3pm, but click here to find your store and time. Barnes & Nobles bookstores are having a story time and activities on 3/2. Click here to find a store near you.